Speaking for myself and I know many of the rest of you, Ski Season 2017-18 is now a wrap and it was a good one. Yesterday was the final day for the remaining Southeastern resorts, so they broke the April mark which is definitely to be applauded, may it ever be so in seasons to come, and actually that seems to be a trend. March is the new February apparently with the best conditions of the season; this one certainly delivered, by the dump truck load. While West Virginia was again the biggest winner in the natural snow department, another trend was evident to me throughout the region. Snowmaking infrastructure has been steadily improving, the number of snow guns ready to blast when temperatures drop has continued to grow; and some resorts, Massanutten and Wintergreen most notably, have addressed the supply side issue as well. They both massively increased their re-capture and storage capacity so that plenty of water was available whenever a cold snap arrived. As a whole, I was surprised at how late many resorts continued serious snowmaking operations; even for two day windows well into March, they were willing to power up and turn the guns on high. I also had the feeling that more people made their appreciation known. No matter the conditions, by mid-March even weekend crowds grow sparse most years; but it seemed more folks remained ready to ski even after the arrival of warm spring days in the flatlands. I hope the numbers bear out my impression because although I love an empty slope, I love a viable four month long Southeastern ski season even more. Highs and Lows of a season well spent. There was little to quibble about this season, February of course was a low point; after an amazing January of cold and snow it looked like the season would end with a warm, wet, whimper; but it was all made whole again by an exceptional March. So aside from those few grim weeks, I can find little fault with the weather, but I am disappointed with myself for not taking better advantage of the storms. 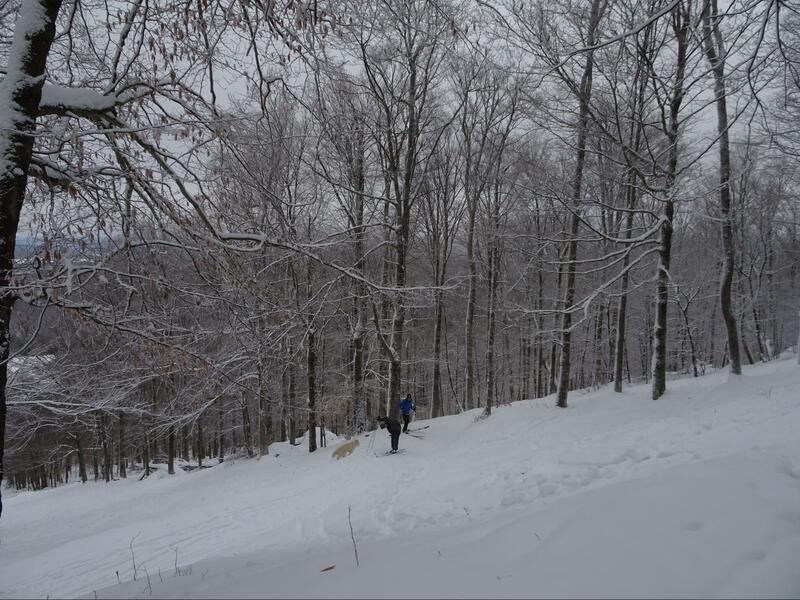 While it is true that I was chasing snow further north during two of those cycles; the fact remains that I didn’t get into my favorite West Virginia trees nearly as much as I would have liked. Fortunately though, I did dive into some. I bought one season pass this year, to Whitegrass where, by the way, the cover photo was taken (at only $140 an excellent investment for your core and quads, and the well-being of the valley). I always link some tours there with my days skiing at Timberline and Canaan Valley, sadly, I only got my skins on and uphill going for two days. In fact I only earned turns three days all season. The two at Whitegrass and one pretty spectacular one off of Berthoud Pass when most of Colorado was still in dire condition. Considering that most of my skis are mounted with touring bindings, this was a poor showing indeed. I’ll do better next year. I did have a good year of travel and I know a lot of other Southeastern skiers did as well. 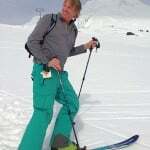 I skied at six new places; all fantastic, low cost mountains with a great vibe for everyone from toddlers to crusty old telemarkers. I saw some of the most adept and fluid skiers I’ve ever tried and completely failed to keep up with, and every outing felt like a “best day ever” until the next day started and seemed even better. Red Mountain, Whitewater and Schweitzer opened my eyes up wide to Canada and I found New England powder and barely manageable (for me) trees at Cannon, Wildcat and Magic Mountain; all on a last minute stormy road trip. I bring this up not to gloat but again to encourage everyone to go someplace new, find an adventure outside the normal lines and support the kind of places where you will still meet owners and management actually out making turns on a powder day. 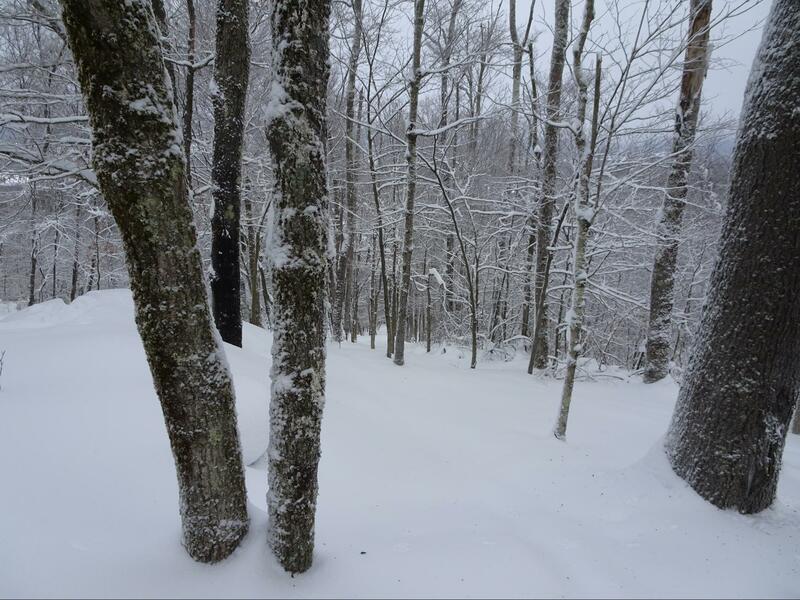 Unfortunately as a consequence of that foray to New Hampshire, I missed out on the great late March storm cycle at Snowshoe and never got into my favorite untracked trees. That REALLY was a disappointment, five feet in a week I’m told, let’s hope that’s a new trend too. But at least I kept up my string of SkiSoutheast Summits. I had a great time with old friends as always, and spent the weekend with my son there too, a nice addition to an excellent tradition. 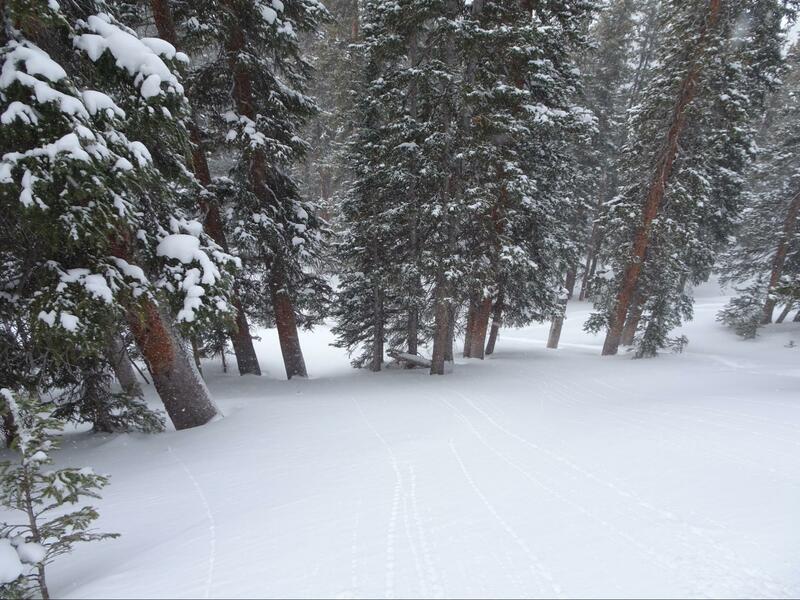 Where did you hang out between runs? Some of the best chili, craft beer and conversation I had all year were at the Quenchers Pub at the Canaan Valley Resort. I do have to mention that CVR’s decision to close on March 4 was a serious disappointment to me, particularly considering how successful they had been in opening terrain throughout the rest of the year, a casualty of February, I suppose. Other great places to fill up or wind down are the super-funky, granola-snacking, moonshine-sharing, tree-hugging cafe at the base of Whitegrass, or more modern 360 degree umbrella bars atop Beech Mountain and at the base of Massanutten. I must say though, that newly added to my list of all time favorite ski bars is the Cannonball Pub at Cannon Mountain’s base and their four cheese french onion soup may have been the best ski lunch I had all season. Best bumper sticker and chairlift Quote. These were seen and heard at Whitewater. In the very front slot of the parking lot I walked by a battered Tacoma with a sticker that read, ”When hell freezes over we’ll ski there too.” Amen. And, as I’ve mentioned before, I was riding the chair with a Mountain Host there who pointed to a dire looking cliff band and casually remarked, “Sleeper is over there, a lot of cliffs, a pretty fun place if you like jumping off of things.” I found this to be a welcome change from the kind of resort Ambassadors who pass out sniffle tissues and scold good skiers to slow down. Best equipment to watch out for next year. Once again I finagled press credentials to the SIA/OR industry show at the Denver Convention center and then enjoyed the boots-on preview of next year’s equipment at the On Snow Demo at Copper Mountain. Since most of our minds won’t return to new gear acquisition until around September, I’ll do a full run down then but I will mention a couple of skis that were notable this time. Last year I raved about the Rossignol Experience 100, which I liked so much that I purchased a pair. 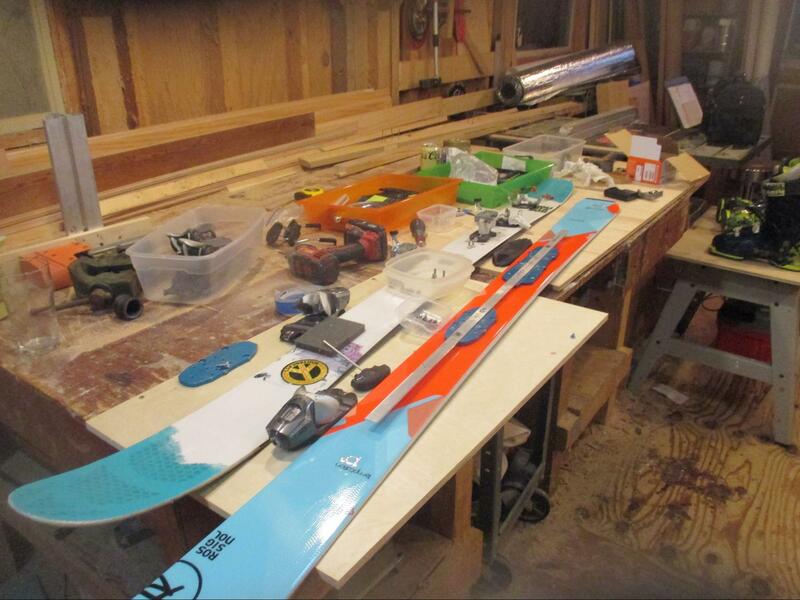 After all, who doesn’t need six pairs of functioning skis. Although in my defense, half of those have only half of their original base and these were the first front-side carvers that I’ve bought. I felt I was filling an important gap. Sadly, I pulled the trigger too soon because Rossignol has again reinvented and improved upon success. The 2018-19 Experience’s widest iteration is now 94 mm underfoot, it carves like it wishes you would race but has a tip profile that works much better when the snow gets deep or cruddy. The ski is still damp and burly but some of the weight has moved out of the tip. This ski is worth waiting for. On the other hand, for versatility with a soft snow bias I was reminded once again that the DPS Wailer series was an early master of the class and remains at the top. It has not changed significantly although there are three different construction types available. 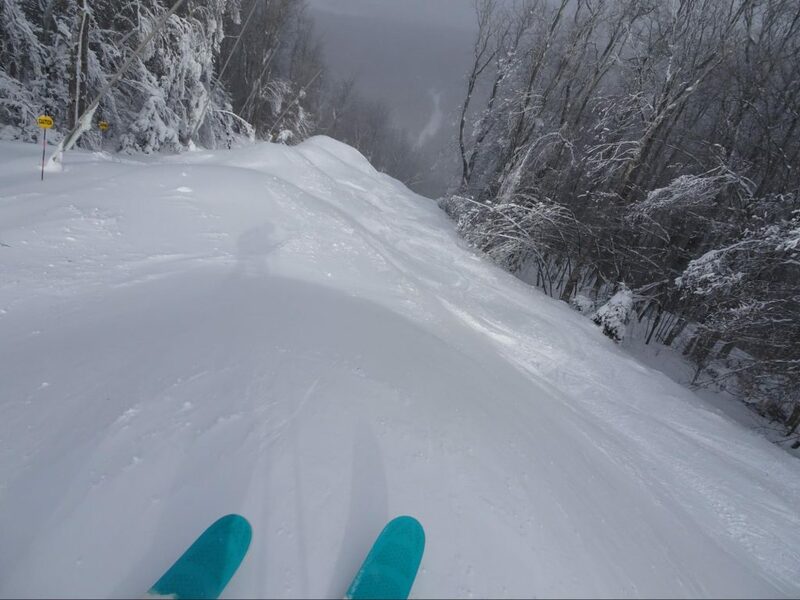 When you are in deep powder it feels like it has full rocker, on a groomer it will still bite, especially if you press it forward. It is competent and playful and has a trick of smoothly changing style according to your stance. The 106 Wailer is a magical ski and DPS has had the good sense not to tamper much with perfection. 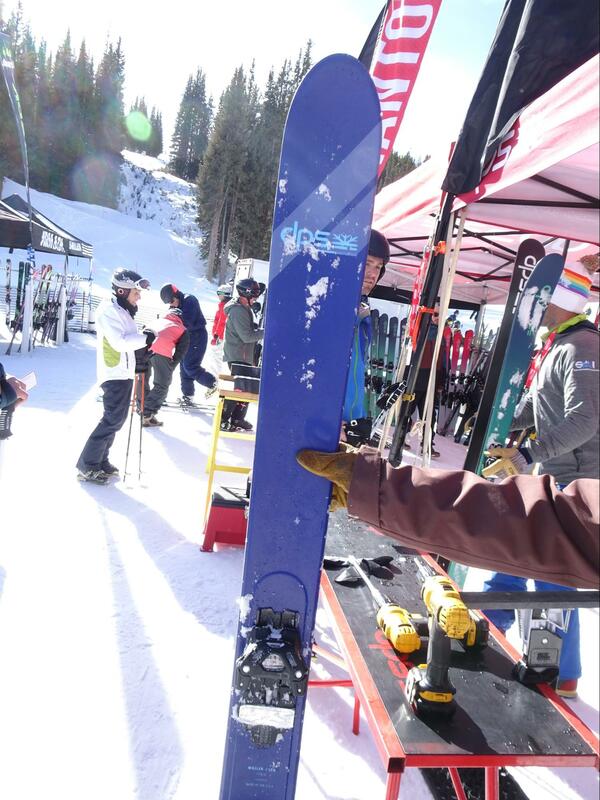 This summer would be a good time to start watching out for this ski because DPS skis are pricey at full retail. Summer plans and stuff to look forward to next season. It’s absurd how much of my time I spend in the summer months still thinking about skiing, a portion of my shop will periodically be taken over by the activity of mounting or reconfiguring all my gear. I will squander substantial amounts of ink printing topo maps and huge amounts of bandwidth looking at trail maps and touring Google Earth. Speaking of which, for your snowless afternoons in August let me suggest two favorite websites of mine. Skimap has a collection of archived trail maps from every major ski area you can name, sometimes going back to the fifties. Looking at how the terrain and trails have expanded and changed and how the style and art of the maps have evolved is oddly mesmerizing. And the Caltopo website is one of the best sites I’ve found for researching terrain; you’ll find a variety of topographic map formats and hybrid imagery options with all kinds of interesting layers available, like slope angle and sun exposure. Go and get virtually lost. On the real side of things I will make at least one trip to Liberty Mountain Snowflex Center; it’s a two hour drive for me and great for an afternoon especially if you like jumps and features. Now they have a snowflex carpeted mogul field as well, which could be interesting. I need to get a new Jerry Falwell bobble head anyway; you really can’t have too many. And as far as next season goes, Beech Mountains lift upgrades should be nice and are a positive sign for their future. Snowmaking will continue to improve most notably at Snowshoe with their announced investment of $4 million this summer. And for all of us who make some trips out of the region there is already a dizzying array of multi mountain passes that are being rolled out. What would I like to see as a surprise announcement? Well let’s see, “Tory Mountain announces it will open this December,” that would be a fun headline. More realistically any major expansion of terrain would make for good summer buzz. What Sugar did by opening Gunther’s Way was a massive boost to their terrain and I continue to hope others will follow their lead. 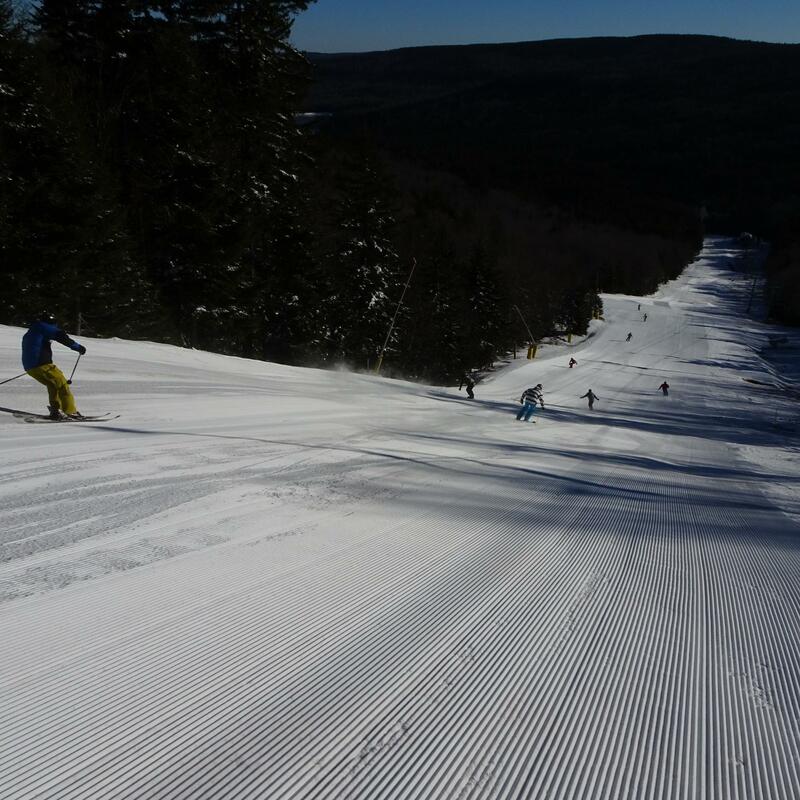 Gunther’s Way at Sugar is still the best new run in the Southeast. Anyone else care to expand? SkiSoutheast.com gets my unbiased vote for best ski website. 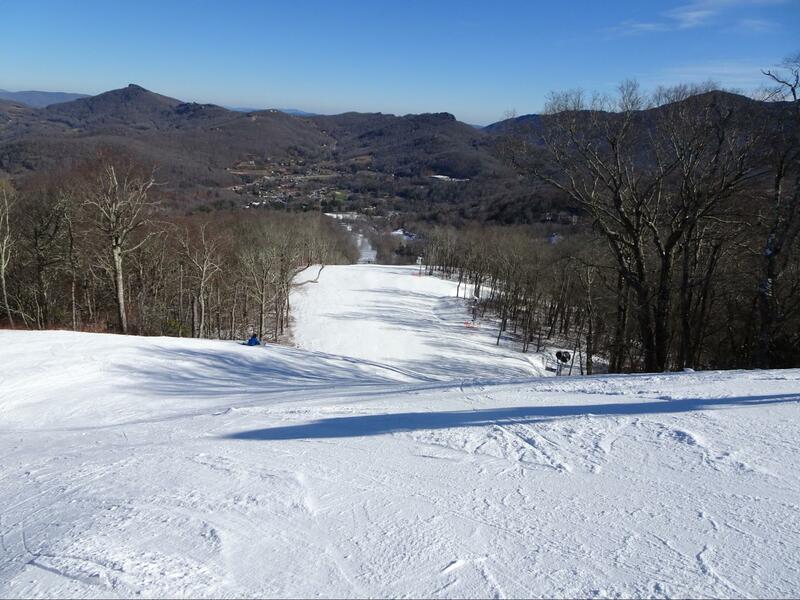 As a daily resource for information about skiing and riding in the Southeast and Mid-Atlantic, it is unparalleled. What Mike and Kenny do every morning of the season to provide up to the minute information and content worth reading on a daily basis is no easy feat. Access to webcams from all over the region has completely changed how a lot of us make our plans; that real time imagery takes the uncertainty out of sometimes subjective condition reports. Mike provided me with some of the numbers of how the website compares in terms of visits with others well known nationally and the figures are fairly amazing. I knew this to be true regionally just from chairlift and lodge chatter but weirdly at the Franconia Notch Hostel (great place by the Appalachian Trail) where I was staying in Lincoln, NH, and later over some beers at Magic Mountain, I met people who knew Skisoutheast and had even read articles I’ve posted; small world or big website? I have always liked Brad Panovich’s reporting but having video forecasts on a weekly basis was another fantastic resource. I wish the messageboard could regain some of its vibrancy; although, again based on chairlift conversations, I fear that some people who want to participate have trouble with the sign up procedure. If that is the case, I would again say persevere, it’s worth it. I intend on posting an old school trip report about my New Hampshire trip soon and hope anyone out west right now will do the same. There has been good reporting from South America to keep the stoke alive in the past. Anyone going to New Zealand in July? That would make for some nice summertime reading. Happy summer everyone and thanks for reading, it’s been a pleasure for me to be associated with the site for the third year now writing about this sport I love so much; and for that Mike, thanks again. Previous articleThe Last Day of the 2018 Ski & Snowboarding Season in the Southeast is Upon Us.